Being present in the present is key to happiness and health.Dr. 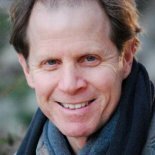 Dan Siegel recognizes that many people have busy minds, thoughts racing with worries for the future. This is very different from observing and focusing on the present. If your worries dominate your present experience, you won’t be as happy or healthy. Dr. Siegel uses the term mindsight to explain subjective things that take place in the mind. Insight into your own mind and empathy for what happens in the minds of others are components. Integration of compassion, kindness and living a full life also create mindsight. You have a better chance of being happy and healthy when you know what’s happening with your attention, awareness and intention. Listen as Dr. Siegel joins Dr. Taz to discuss how living in the present improves your wellness and well being.